.Leanne Marie. 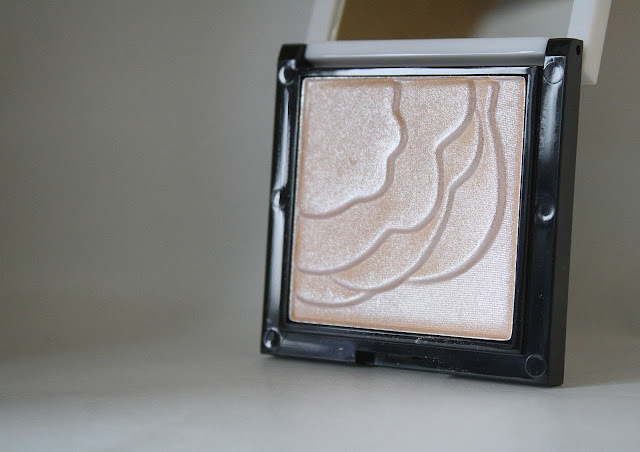 : Review : No7 Vital enlightening Highlighting powder. Review : No7 Vital enlightening Highlighting powder. I know, I know I said I wasnt going to buy anymore makeup and start making sure that I used up what I had... well clearly I didnt stick with that and picked up this beaut while having a casual browse in boots. But who can blame me, look at how pretty it is! I couldnt just wander past the stand and ignore it! 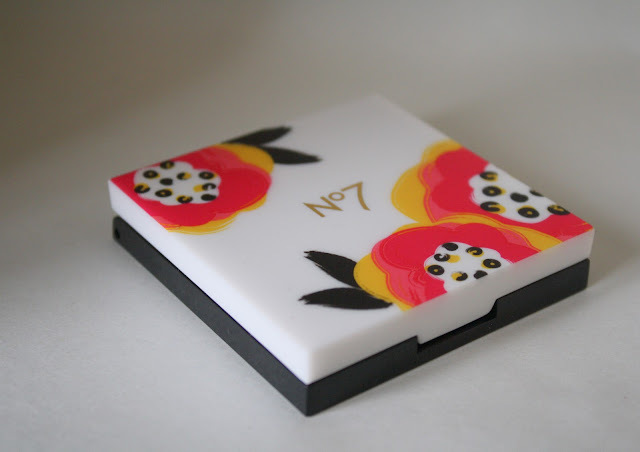 This is the No7 Vital Enlightening Highlighting powder which is part of the limited edition Floral Brights collection by Lisa Eldridge, it became avaliable on the 25th January so the chances are if you pop into your local boots you will be able to purchase one! Unlike the lipsticks in the collection this powder did not come in a box, however the No7 stands are always immaculate so I knew that there wouldnt be any damages to the product or the packaging be messy so all was good! The packaging itself is really nice, i love the floral details on the top of the compact, Inside houses a large mirror which is a bonus, I really dislike compacts that dont have a mirror in for some reason! If the outside is pretty it's going to mean the product itself is pretty in my books and No7 delivered. 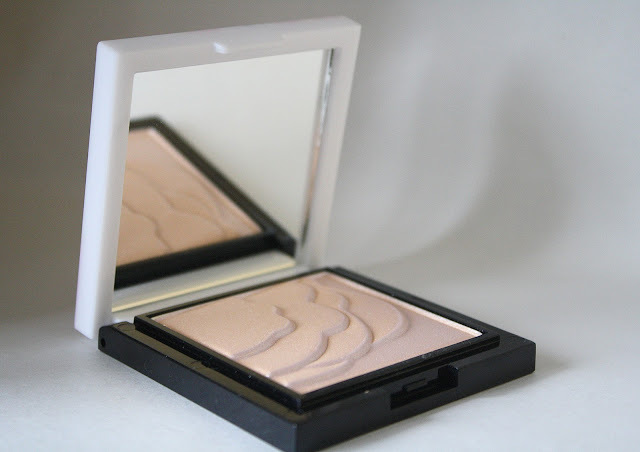 Its a gorgeous peach toned velvety powder with subtle shimmer to provide you with the most perfect highlight! I LOVE how it is in the pan, so pretty! I'm a sucker for any makeup product that is a bit three dimensional, so that was a bonus! 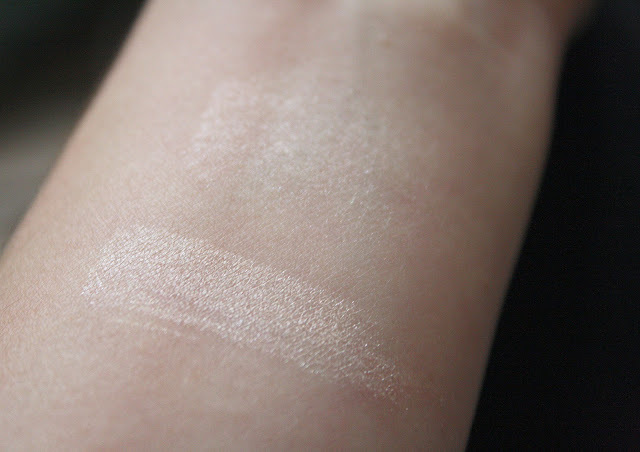 When swatched the highlighter gives a really nice healthy glow to your skin, the shimmer/glitter isnt chunky at all which I find can be a bit of a problem with some highlighters. It's such a versitile product, not only is it great to highlight your cheekbones and under the brows it could also be worn as a subtle eyeshadow. A quick sweep of this across your eyelid and some winged eyeliner and you'd be good to go! It retails at £13.00 which I feel isnt bad for 10g of product compared to other prices some highlighting powders avaliable. There are some other bits in the collection which are well worth a look at, There is a 5 shade eyeshadow palette, which was mainly neutrals, 2 cream blushes which looked quite bright in the pan but when swatched and blended they werent so scary! Then two lipsticks, one in a bright barbie pink shade and the other was a coral pink. If I'm honest I would have picked up the bright pink lippy as it was so beautiful but I limited myself to the one item as I am trying to use my makeup up afterall! So will you be picking up this highlighter or maybe something else in the collection (FYI the 3 for 2 offer is on at the moment) I know Charli has already, solely on a text message I sent her! (I'm such an enabler!) To be honest its too pretty to say no to, right? Ohhh, I think I need this in my life. Oh my goodness how pretty is that! I confess I think i'd buy it for the box! Hmmm, 3 for 2 you say............. well, it would almost be rude to say no! was really tempted by this the other day, and now want it even more! Ooh that looks gorgeous, and I love the packaging. I always seem to have issues with applying liquid highlighters (like Benefit High Beam etc) so a powder like this would be great - very tempted to buy this now! I really want to pick up one of these beauty's, is very similar to the Laura Mercier one that costs about 3 times as much. Dubai Hauling : Victoria's Secret.